Industrial buildings require proper roof ventilation to maintain a good air quality indoors. This is because industrial processes usually produce smoke, fumes, toxic gases, water vapour and other byproducts. Without proper roof ventilation systems, these byproducts linger in the air and deteriorate the air quality. A poor air quality is hazardous to workers as well as the machinery and equipment in the workplace. It can also make a business liable to legal action. Traditional air-conditioning systems are often used to handle industrial ventilation. However such systems can incur huge energy costs. They are also limited in their performance in that they recycle the same air over and over again. In contrast, wind powered roof ventilators offer a far better solution. 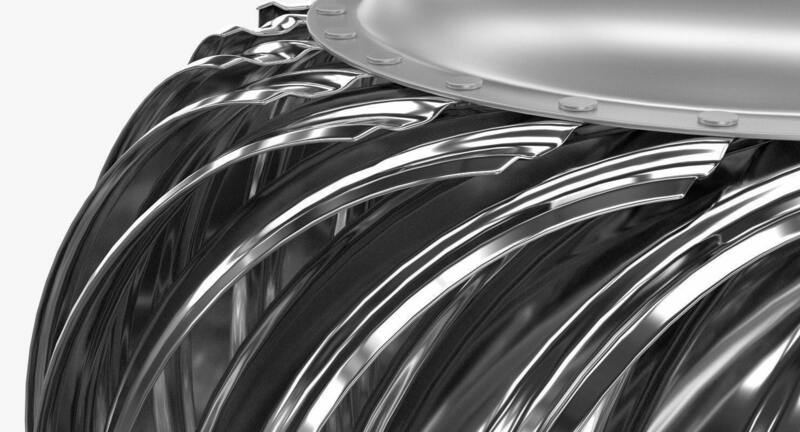 Such vents are able to replace stale air with fresh air in real-time. They are also wind-driven, so they consume no energy and significantly improve the energy efficiency of a building. 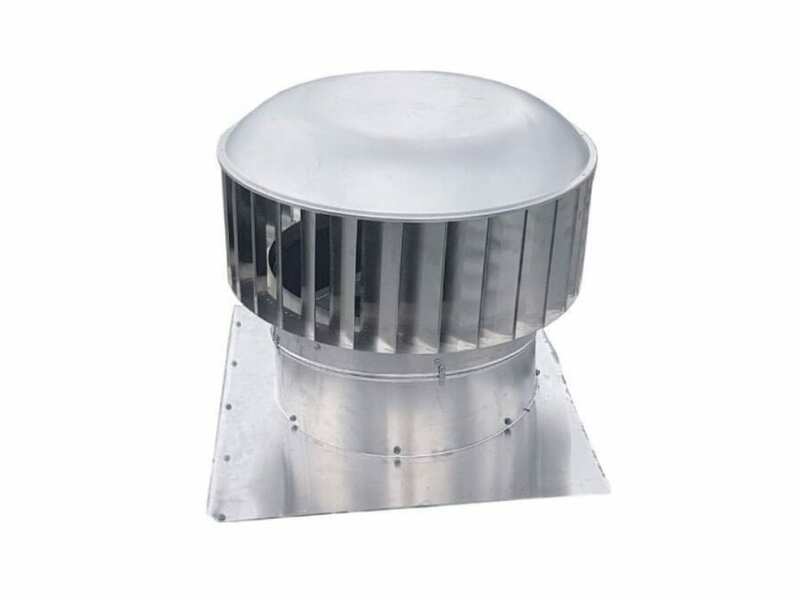 The Ampelair Straight Vane Industrial ventilators are designed to achieve heavy-duty industrial roof ventilation. 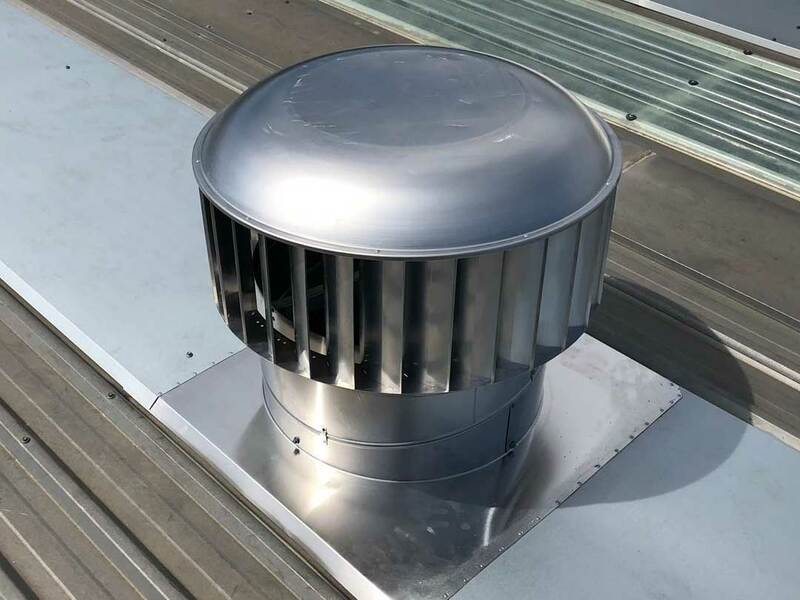 These roof vents are wind driven and feature unique vent design which allows them to make the most of wind energy. The Ampelair SV products come constructed from aluminium, which makes them durable and resistant to any damage from industrial byproducts. They are available in a variety of sizes, colours and types. You can choose one that is specifically suited to the size, ventilation requirements and air volume of a building or a commercial building. RVA installs display impeccable workmanship and attention to detail uncommon in the industry. Aluminium construction for the vent head. Variable pitch also comes constructed from aluminium. Vent base is available in square or round shapes and is made from Zincalume. Throat sizes ranging from 150mm to 950mm. Ventilator head width ranges from 320mm to 1130mm. A number of base models available for use with vent heads. Base models available in square to round shapes. Base width ranges from 210mm to 1110mm. We have been in business for over 30 years as a commercial & residential roofing company. RVA is the sister company of Sydneyroof. At RVA we are focused on Industrial & Domestic roof ventilation, fibreglass skylight panels, and roofing utilities. We believe these areas of the roofing industry have been largely marginalised. We however, are focused on taking this part of the industry and creating a service-oriented response to our customer's needs. Our pricing is transparent and highly competitive. We do our best to take the guesswork out of the final cost at the beginning. We take pride in our workmanship and are proud to warranty our workmanship for 5 years, in addition to the manufacturer's warranty. Nothing says commitment like longevity! We are proud of our commitment to our craft and our customers.